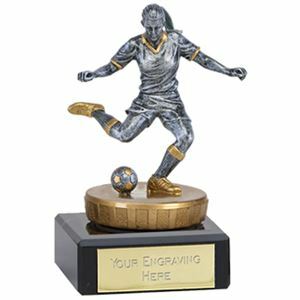 The Mini Football Trophy features a football design with space for a circular insert. 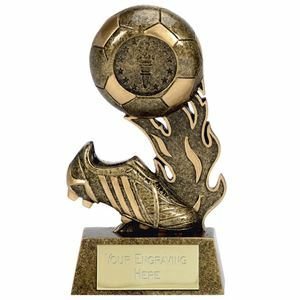 The gold resin trophy is coated for a high gloss finish and has two tone gold detailing. 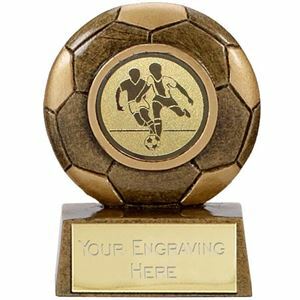 The Micro Football Trophy is made from gold coloured resin and is coated with a high quality glaze. 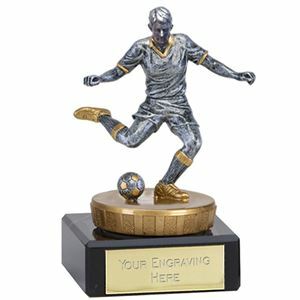 The football trophy features a large football set on top of a rippled riser standing on a rectangular base. The Renegade Legend Football Trophy is mounted on a solid cream marble base and is made from high grade two toned bronze lacquered plastic. 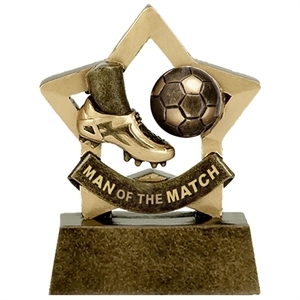 Featuring a football boot and ball on a circular plaque with embossed stars and has a football goal net in the background. Made from premium grade plastic and burnished with an antique bronze glaze and then finished with golden trim. 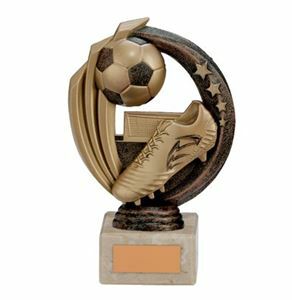 The Striker Legend Football Trophy features a 3D football boot set on square cream solid marble base. Please do search our website for the larger option that takes a logo (product code TH18175D). 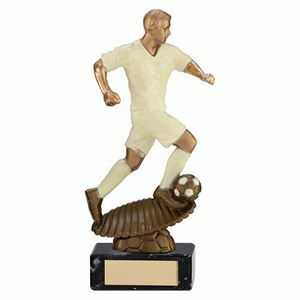 The quality plastic Spirit Storm Football Trophy is a striking award featuring a three dimensional footballer. Dressed in cream kit and posed in an action running pose with a football the figure is accented with gold and stands on a bronze plate. The trophy is finished in a high gloss varnish for a shiny finish and is mounted on a square black marble plinth with room to display a personalised dedication. The Mini Star Football Trophy is small but perfectly formed. 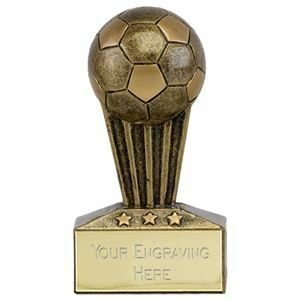 Made from gold and bronze coloured resin with a high shine glaze, this Mini Star trophy features a football boot and ball set in front of a golden star. 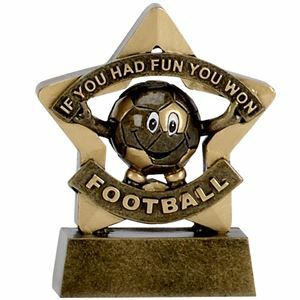 The Mini Star Football Participation Trophy is a small star shaped trophy to celebrate participation in the nations favourite sport, football. Made from resin coated in a gold and bronze coloured gloss. It features a bronze football holding a banner that states 'If you had fun you won'.